• We are confident that we have built the best smart phone on the market.. Samsung..
Alright people, now as we've already known it, one of the most anticipated smart phone of the year have just been unveiled for the very first time yesterday, and as you've guess correctly, we are talking of none other but the iconic Samsung Galaxy Note 9.. yea you heard that right, the Note 9. And as always, everyone has been really anxious and waiting to see what kind of punch that Samsung has packed in their best smart phone so far, and that is what we are exactly here to do. Today we are gonna be listing out and discussing shortly on some of the major and minor changes, that have taken place on the new Samsung Galaxy Note 9 smart phone. So sit back, relax, grab a pack of Popcorn, a bottle of chilled Coke, and then enjoy the ride.. 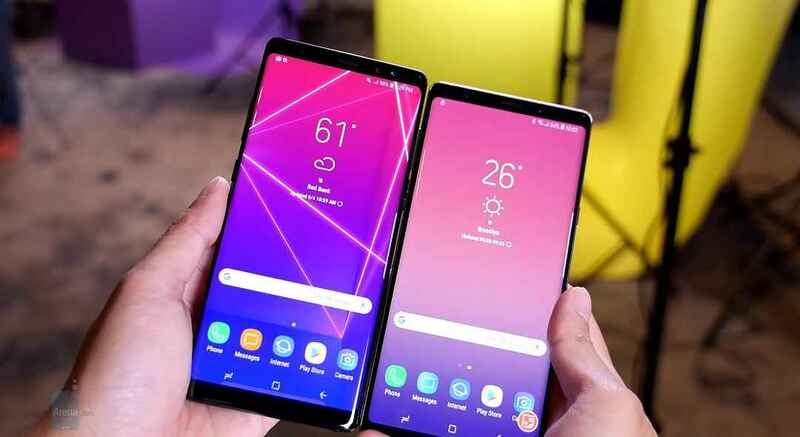 So coming to the first change is the..
Alright in terms of design, the Note 9 is nothing short of last year's but yet still powerful Samsung Galaxy Note 8, placing both phones side by side with their fronts facing up will really give everybody a pretty hard time to know which was which, pretty much exactly what Samsung did on the S8 and the S9, you know just make a few corrections where necessary and then leave everything else the way they have been before, because why not, if it isn't broken, then why fixing it?. 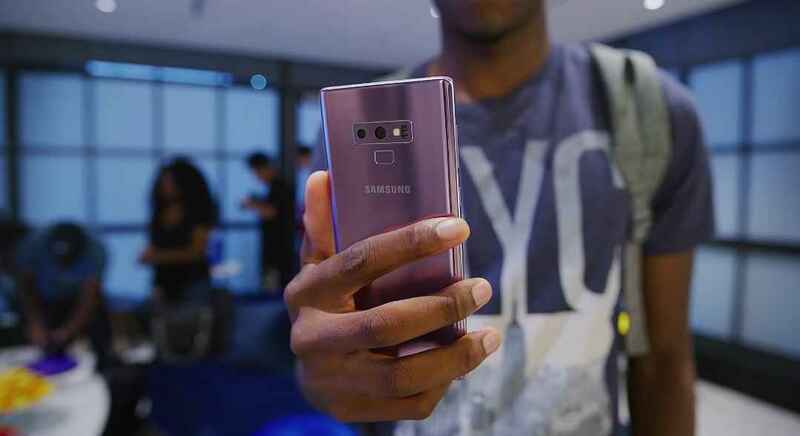 So where one could easily notice the major change on the Note 9's design is when you turn it to the back, well it's got two cameras as with the Note 8, but instead of placing the fingerprint reader at the same place where it was on the Note 8 which wasn't a good thing at all, this time, they took it down, directly below the two camera modules, which results to an easy reach and less smudging of the camera lenses while trying to reach it... So kudos to Samsung for this one. 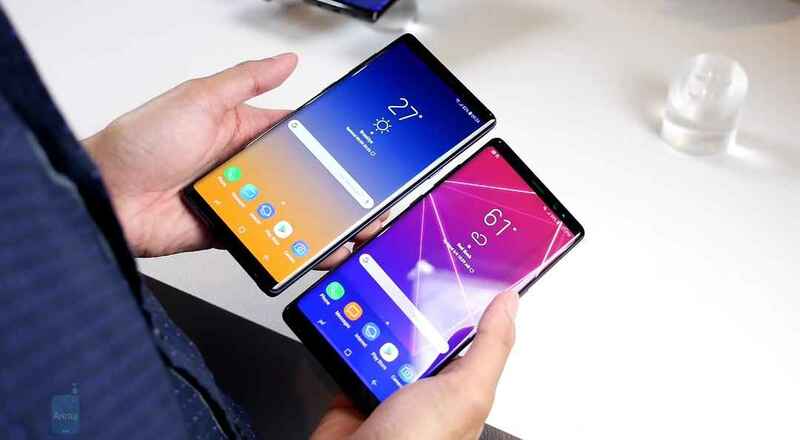 But overally, the Note 9 is a little bit shorter than the Note 8, measuring a total of 161.9mm in length, against the Note 8's 162.5mm length, thanks to its significantly reduced bottom bezels which also made it possible to fit in a big 6.4 Inch SuperAMOLED display on it, which is also slightly (0.2 Inch) bigger than the Note 8's 6.2 Inch screen. 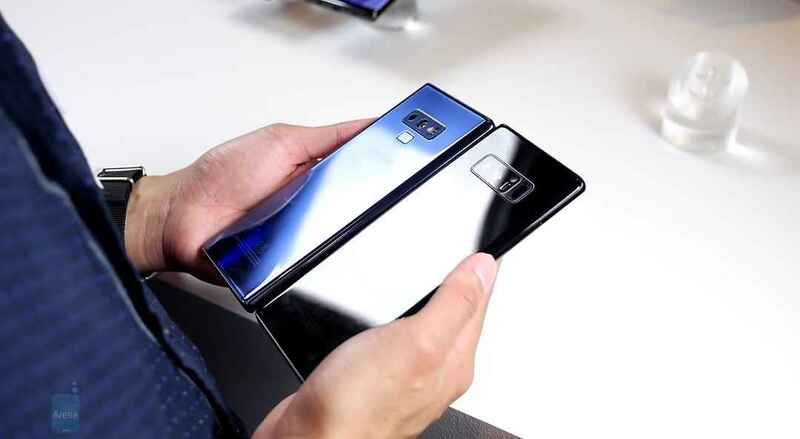 Then for another thing it is a little bit wider, thicker and even slightly heavier than the Note 8, thanks to its bump up 4000mAh power battery which Samsung claims can last up to a full day with just a single charge.. But we will be coming back to that in a few minutes. So apart from those things listed above, there is nothing that is on the Note 9 that wasn't on the Note 8 before it, 3.5mm headphones jack, its got it, USB Type-C charging port, checked, the S-Pen, checked, and in this case, it is even revamp and revolutionalized as it can now serve as a remote control for the phone. So that is that about the Galaxy Note 9's design, now let us move to some more areas where there are other significant changes too. Okay so we've already mentioned these things in the design aspect up there, but let's just take a little bit more time to evaluate them properly. 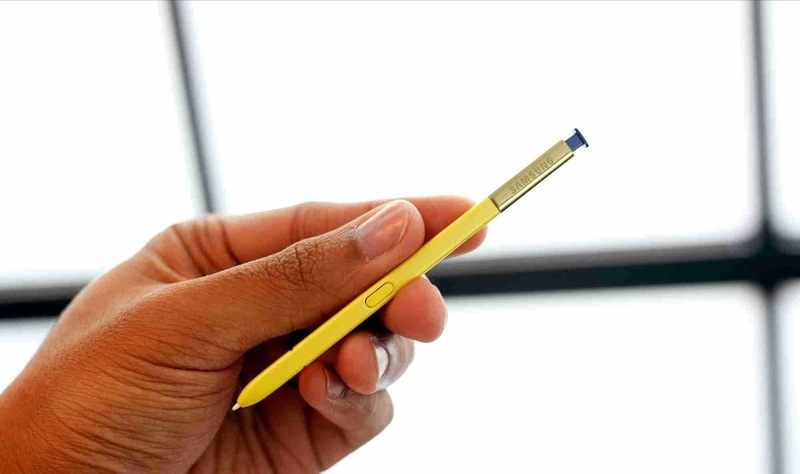 So when it comes to the Samsung's Galaxy Note 9 S-Pen, well there are many more things you can do with it other than just penning down some notes. So Samsung says they have built in a Bluetooth Low Energy (BLE) into the S-Pen, which makes it possible for it to be used as a remote control to perform some actions on your phone even without going near or touching the phone. For example, take the S-Pen out, long press on the button and it launches the camera, double press it to switch to the front facing camera, and press it once to take a photo.. now that's some very cool trick right there now uhh... In addition to those, the S-Pen can even be remapped to perform some other actions when the button is pressed, like assigning an app to it and all that.. So i must say that i am very happy for this one. And then for the cameras, well actually there is absolutely nothing really or exactly special here, they are pretty much the same thing that we all had seen on the Samsung Galaxy S9+ at the beginning of this year when it launched, you know, it got that dual aperture something that mechanically changes the camera aperture either from an F1.5 to an F2.4 and vice versa in order to suit the environmental lighting conditions so it can take the best photo it could. 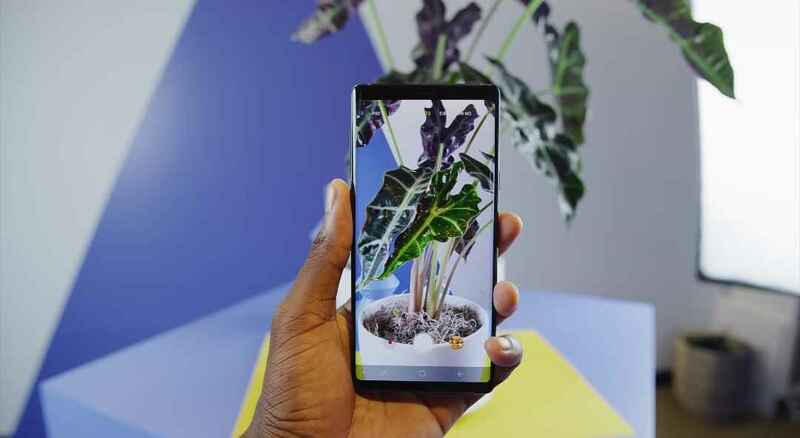 But in as much as the cameras are basically the same, it sure do comes with its own new tricks, they might be new for the first time on Samsung devices, but they are surely not new on the likes of the Huawei P20 and the LG G7 ThinQ. 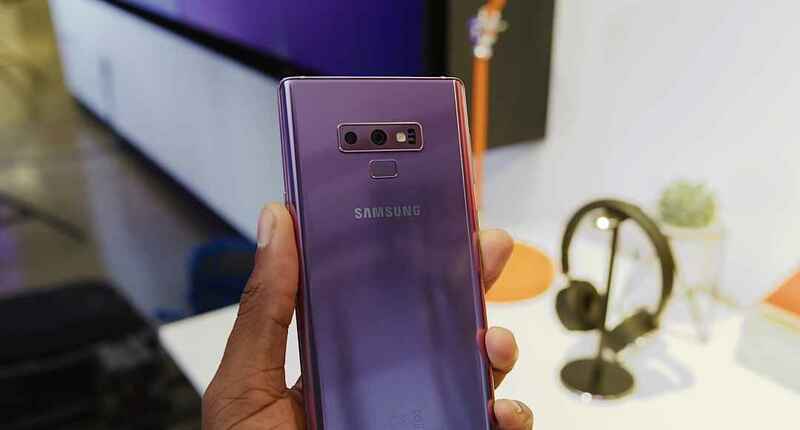 So what are we talking about here, well in case you must know, the Samsung Galaxy Note 9's camera actually came with those AI (Artificial Intelligence) things that can automatically detect your environment scene and decide what best camera settings will be best used to take the photo. It can automatically adjust things like white balance, exposure, sharpness, contrast and every other thing without you needing to do them yourself. It is activated by default, but you can turn them off if you're not a big fan of those AI stuffs. Now let's talk about the Note 9's battery. So since the new Samsung Galaxy Note device increased in number, then don't you think there is also a need to increase its battery? Well for the very first time, a Samsung Galaxy Note phone is shipping with a big, chunky and massive 4000mAh power battery, which Samsung claims should go round the clock with just a single charge while on heavy usage, then on light usage, it should get a little bit around two days or even more depending on how light you are going.. But we just pray history shouldn't repeat itself on this one if you know what i am talking about.. LOL.. 🤣.. Right now i'm even scared of getting the Note 9 for myself, i'm just gonna seat around and wait for a couple of months to see if anyone actually blows up.. 🤣. 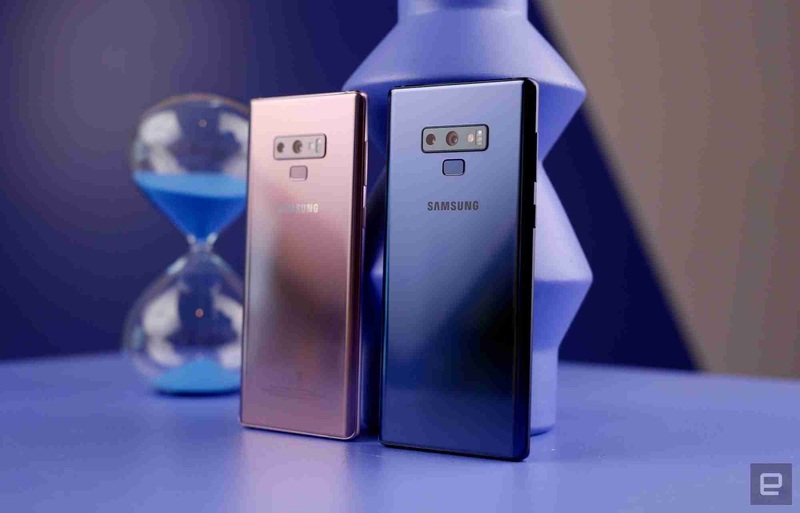 But Samsung claims that they've put all those things into proper consideration and in place by implementing what they called a liquid cooling system into the Note 9, which means that there is an actual water on the inside of the phone.. So fear not. So that is that for the S-Pen, Cameras and Battery of the Samsung Galaxy Note 9, now let's move on to some other few things that have as well been leveled up on the Samsung Galaxy Note 9. 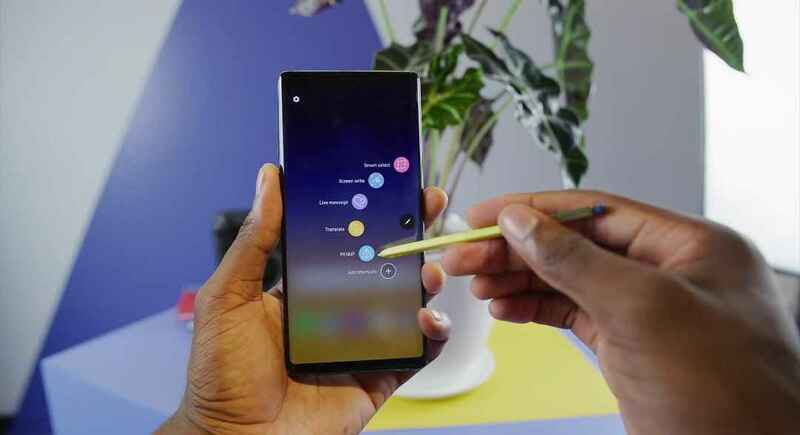 Alright so yesterday during the introduction article i wrote, i will be writing exactly the same thing i wrote back there, the Samsung Galaxy Note 9 is simply a magical drum that can never get filled even until the next Galaxy Note device launches. 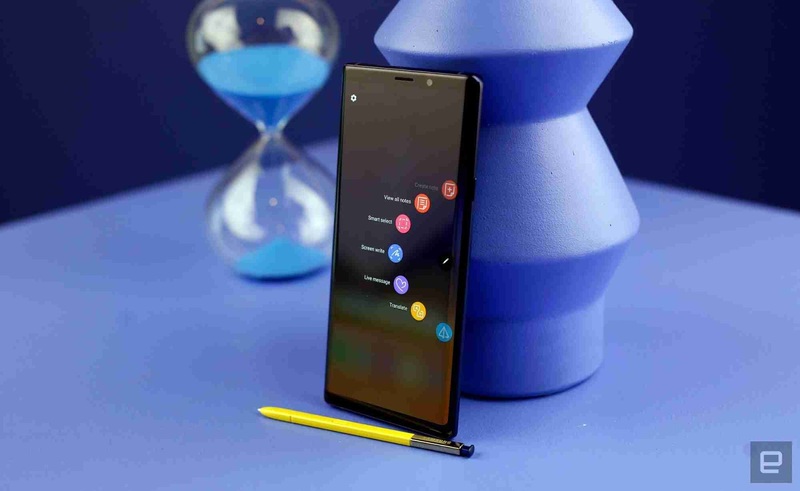 So the Samsung Galaxy Note 9 actually came in two main variations, there is a 128GB base storage version with a 6GB of RAM, and as for those who likes the phones chubby and beefy and all that, there is another 512GB base storage variant, with an 8GB of RAM, now what more can you just simply ask for? Nothing if you'd ask me. And then in addition to those, there is also a Micro-SD card storage expansion slot where you can greedily slot in another rugged 512GB of Micro-SD card which now sums up to a 1-Terabyte of free storage if you got the original 512GB version.. Now even most laptops sold nowadays don't even amount to that kind of storage, so what are we talking about here? Just go ahead and take all the photos you want in their highest quality possible, shoot all videos in 4K, download every app and games on Google Play Store and even on the Galaxy store, and never worry a single bit about running out of storage, because the Galaxy Note 9's got your back. But they say that with great honour, comes great responsibility, and nothing good comes easy. So what am i saying here? Another thing that got very leveled up on the Samsung Galaxy Note 9 is the price. Yea you heard me correctly, the PRICE. 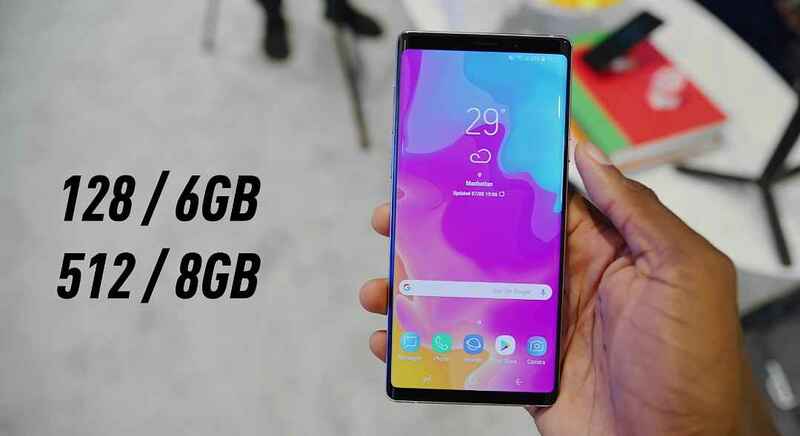 So in case you don't know and you wanna know, the Samsung's Galaxy Note 9 with a base storage of 128GB and 6GB of RAM, comes at a whooping $1,000. Then the one with the 512GB of storage and an 8GB of RAM is no joke at all as it comes at an eye-watering price of $1,250. 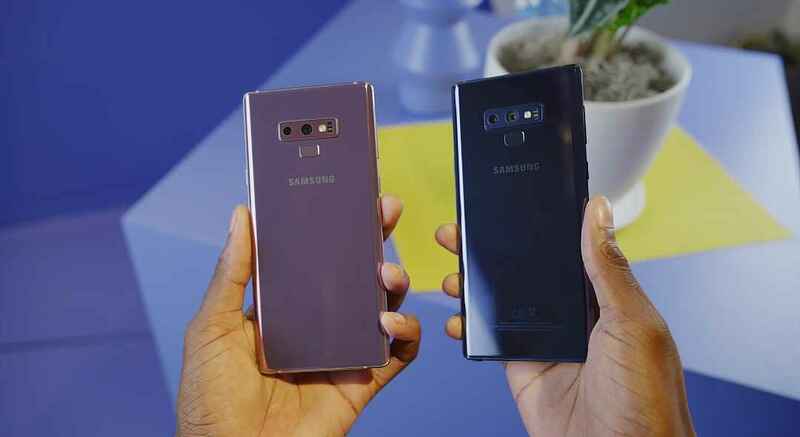 So right now the question is, if you to own the last year's Samsung Galaxy Note 8, would these little added features make you switch to the Note 9 considering the price? 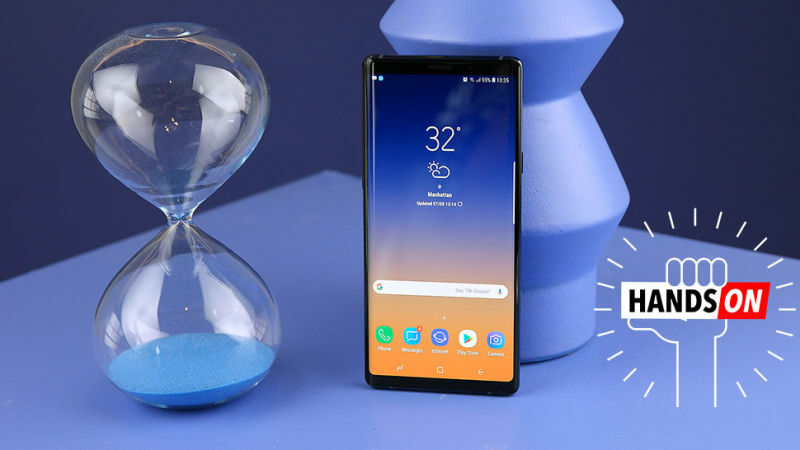 Read Also - The Samsung Galaxy Note 9 Official Introduction - The Best Samsung Galaxy Note Device Is Finally Here Guys..